Amidst the chaos that is 21st century living, one thing can be for certain: mobility is required. This is especially necessary for those in wheelchairs, as many wheelchair users are in their chairs for much longer than people are in their automobiles. Because of this, things like comfort and accessibility are even more crucial to those who use mobility wheelchairs than those who do not. 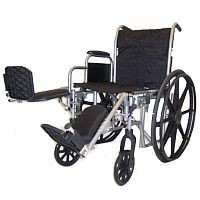 Picking and buying the right wheelchair accessories that provide the most comfort and function is important. Wheelchairs are meant to be versatile because their owners are often unable to leave them at whim. This means that many wheelchairs must also serve as lounging chairs, desks, and so on. One type of wheelchair accessory that improves the user’s quality of life regardless of his or her activities is wheelchair cushions. There is a certain “natural cushion” we all have that aids in the act of sitting comfortably, but for those who have to sit for long periods of time, this is not enough. Wheelchair cushions come in all different levels of firmness, size, and can be catered to the user’s preference and type of wheelchair. Cushions are simply a must for wheelchair owners. Many of us may remember how frustrating it was, having our legs dangle over the edges of chairs and benches, too short to reach the ground and reach a comfortable position. Being in a wheelchair without adjustable footrests is much the same experience. With adjustable footrests, however, there is no uncomfortable flexion of the hamstring muscle, no cramps, and no circulation being cut off to the users legs from their being at too sharp of an angle. This accessory is much like the last; it is not for decorative purposes but for function. There are thousands of other accessories that one can purchase for one’s wheelchair like wheelchair trays, gloves for pushing the wheels, wheelchair cup holders, and wheelchair bags. The most important thing is that wheelchair owners take advantage of all of the accessories that are available to them, so that their quality of life is such that they are able to compete with everybody in this fast-paced world. 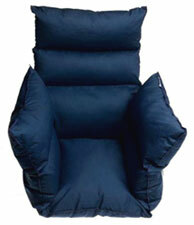 Wheelchair Cushions – Choose from gel, foam, or air wheelchair cushions. Read about the pros and cons of each material. Wheelchair Portable Tables – These portable tables make great lunch trays, reading desk, or writing tables. Wheelchair Bags & Baskets – Create extra storage space on your wheelchair for long trips or for shopping. Armrest Covers – Prevent abrasion with armrest covers when putting your arms or elbows on your armrests. Also protects the armrests of your wheelchairs. Wheelchair Cup Holders – Able to hold 10 to 32 ounces of beverages or mugs. Works for wheelchairs and walkers. Universal Cup Holders – The use of two straps and foam pads allow these universal cup holders to be firmly mounted on just about any armrest, no matter if it is a wheelchair, scooter, office chair or airplane seat. Easy to remove and install. Wheelchair Gloves – Half finger wheelchair gloves allows for protection and easy handling of the wheelchair tires while still maintaining excellent finger dexterity and movement. Easily put your gloved hands into your pockets. Attachable Wheelchair Trays – Attach these wheelchair trays with the straps provided to your wheelchair and you can quickly create an environment for eating, writing or reading. Able to hold the weight of a laptop. Wheelchair Pillow Cushions – Provides extra padding and contours to the curves on your body to help reduce pressure sores.